Outdoor Kitchen with a custom fire pit. - Curb Design Inc. Custom built Outdoor Kitchen with a beautiful fireplace made of eccentric rock or stone. Large green trees in the background. 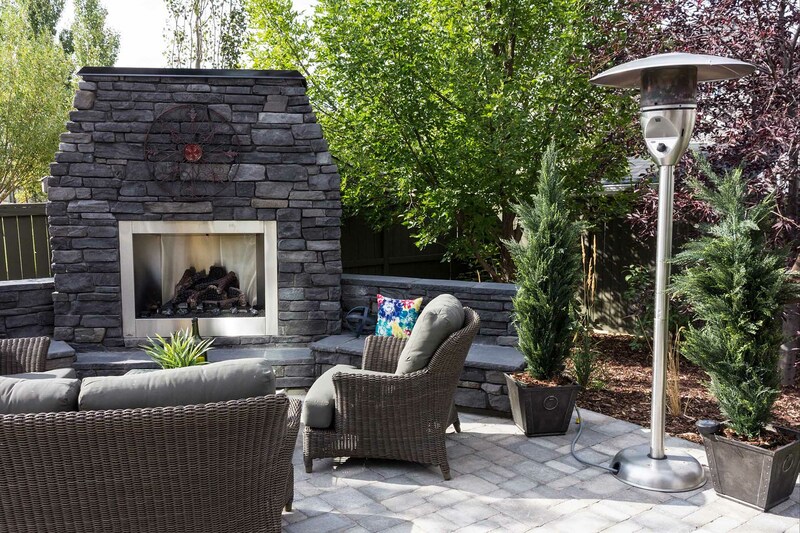 High Quality outdoor furniture and a outdoor heater.